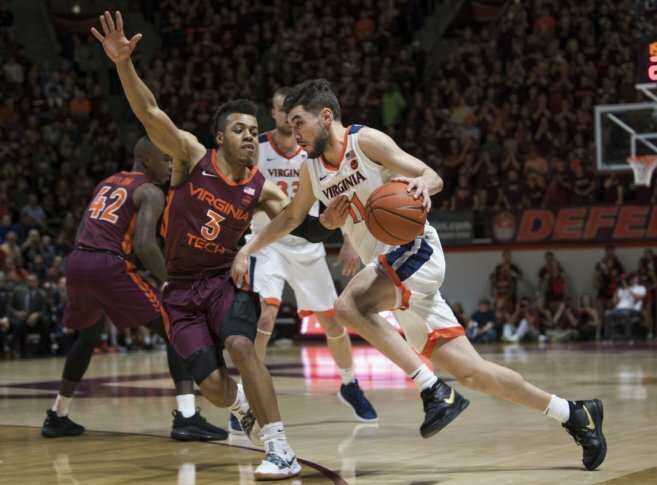 The ACC is loaded with giants, and Virginia still has to play one of them — Louisville — twice, beginning in Kentucky this weekend. The Hoos also still have to travel to the Carrier Dome to take on Syracuse. But they’ve been a 1 seed all year, and barring a major collapse (or a substantial upset in the ACC Tournament) seem destined to enter March Madness that way. An undefeated non-conference slate includes a neutral court win over Wisconsin and a road win at Maryland, and no team other than Duke has beaten UVa. all season. And with the Blue Devils without Zion Williamson for a still to be determined period of time, Virginia could well move up to the top spot in the country. The Cavaliers could also get their third shot at the Blue Devils in March … or even in April.